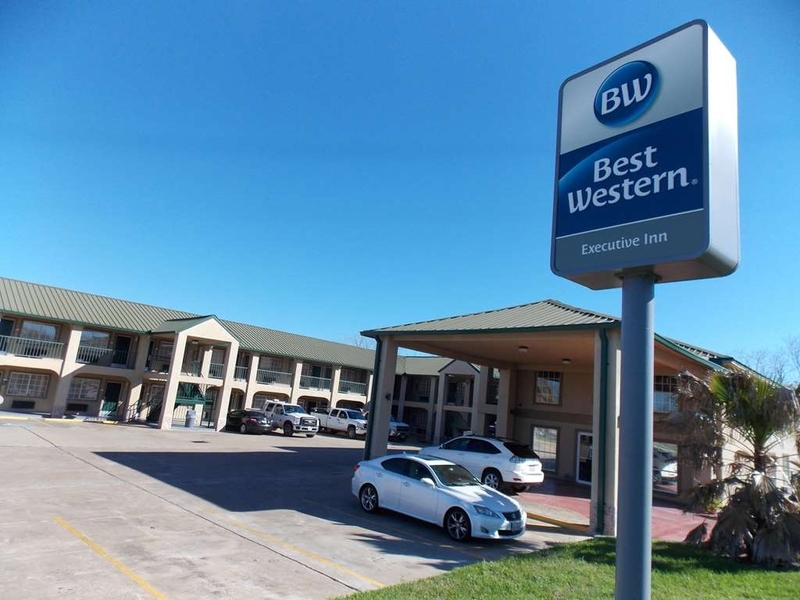 El Best Western Executive Inn se encuentra en el centro de Hallettsville. Venga y disfrute de las mejores atracciónes turísticas cerca de nuestro hotel. Precios bajos garantizados y ofertas exclusivas. Ubicado junto al parque acuático Sheridan Splashway y el centro médico Lavaca, nuestro hotel de Hallettsville ofrece una estratégica ubicación a todos los huéspedes. 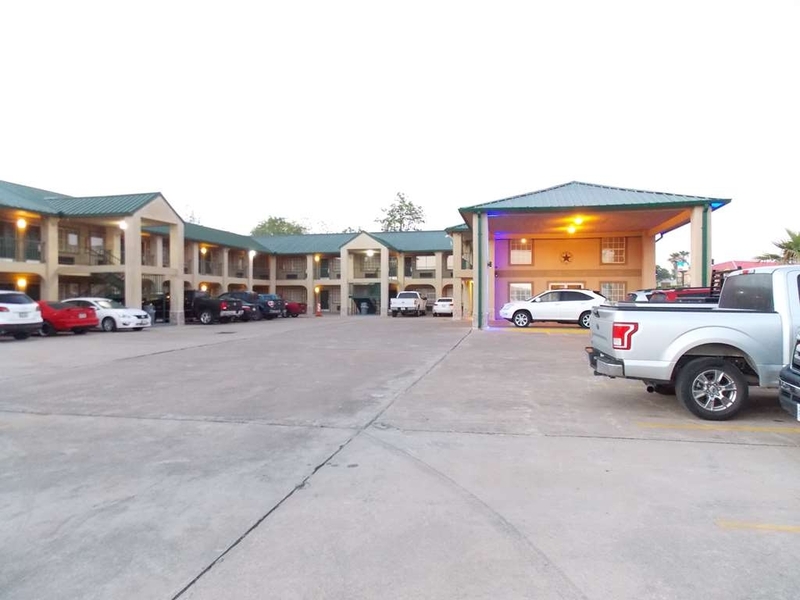 Este hotel de Hallettsville se encuentra situado a escasa distancia a pie de los principales puntos de interés de la zona como la sala Knights of Columbus Hall e o los históricos juzgados del condado de Lavaca. Con un cómodo acceso a los restaurantes de la zona, nuestro cordial personal estará encantado de sugerirle las mejores opciones gastronómicas de la zona. No obstante, es posible que con nuestra amplia oferta de servicios decida no salir del hotel. 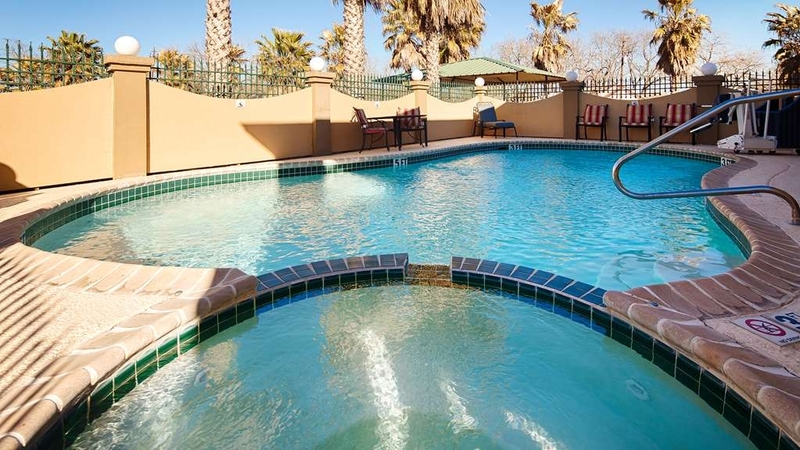 Este hotel de Hallettsville cuenta, asimismo, con una piscina al aire libre y bañera de hidromasaje, idóneas para relajase durante los días de más calor en Texas. 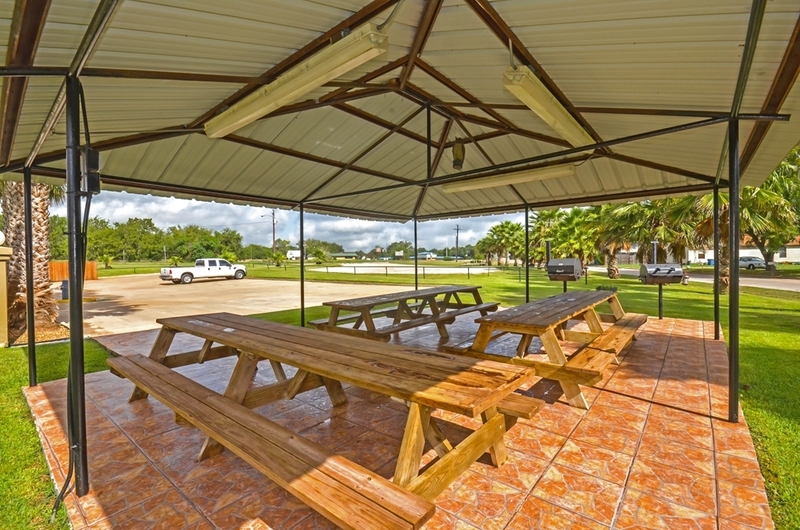 Zona de picnic y barbacoa junto a la piscina. Disfrute, al igual que muchos de nuestros huéspedes, de una tranquila tarde junto a la piscina al tiempo que degusta suculentos platos de cocina casera. Todas las habitaciones cuentan con microondas y nevera, algo perfecto para guardar su comida para las barbacoas o para estancias prolongadas. 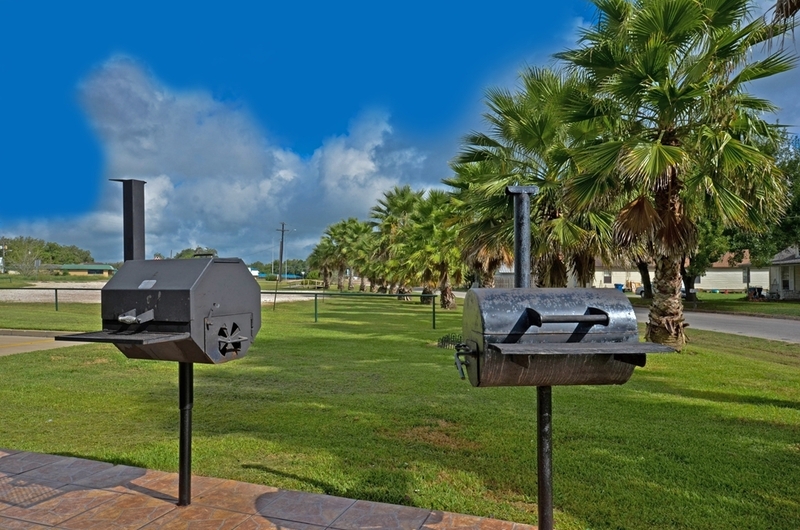 Desde recorridos de golf a instalaciones de rodeo, son numerosos los deportes que podrá practicar a escasa distancia de este hotel de Hallettsville. Los espectáculos con camiones son también uno de los pasatiempos favoritos de la zona, máximo exponente de la cultura del denominado "Longhorn State". El espectáculo "Festival of Lights" celebrado en la antigua plaza de los juzgados de la ciudad es de visita obligada para las familias. Sea cual sea el motivo que le ha traído a la ciudad, son numerosas las atracciones y eventos para todos los gustos que se celebran a lo largo del año. Nuestro hotel se ha convertido con los años en el lugar de alojamiento favorito de numerosos viajeros de negocios que se encuentran en la ciudad para estancias prolongadas. 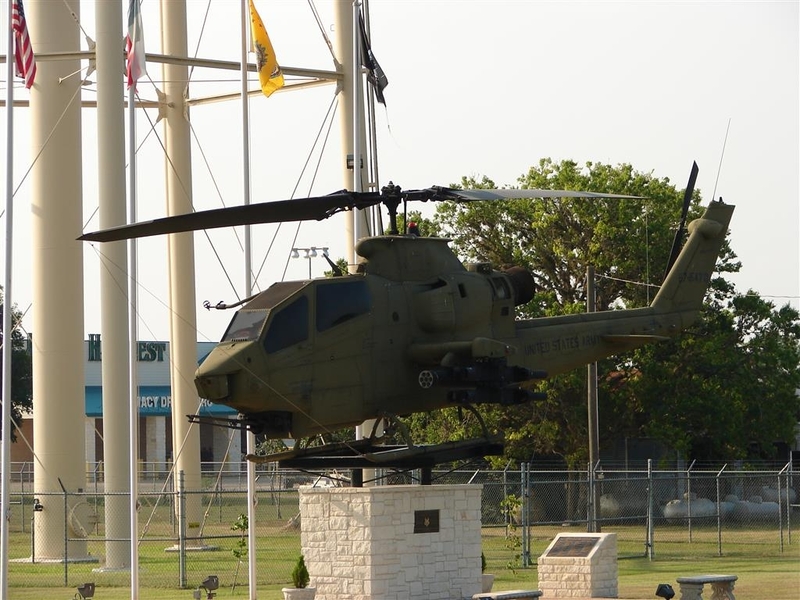 Muchos de nuestros huéspedes son empleados en Exxon Oil, el centro médico de Lavaca, el centro de exposiciones Lavaca County Exposition Center y los juzgados del condado de Lavaca. La ubicación es un factor determinante a la hora de asistir a una importante reunión o si debe utilizar el transporte para llegar a su trabajo. Disfrute de una confortable estancia en nuestras amplias habitaciones con cómodas camas de la mejor calidad para descansar tras un ajetreado día. We stay at this motel whenever we are in the area. The staff is always courteous and a pleasure to speak with. 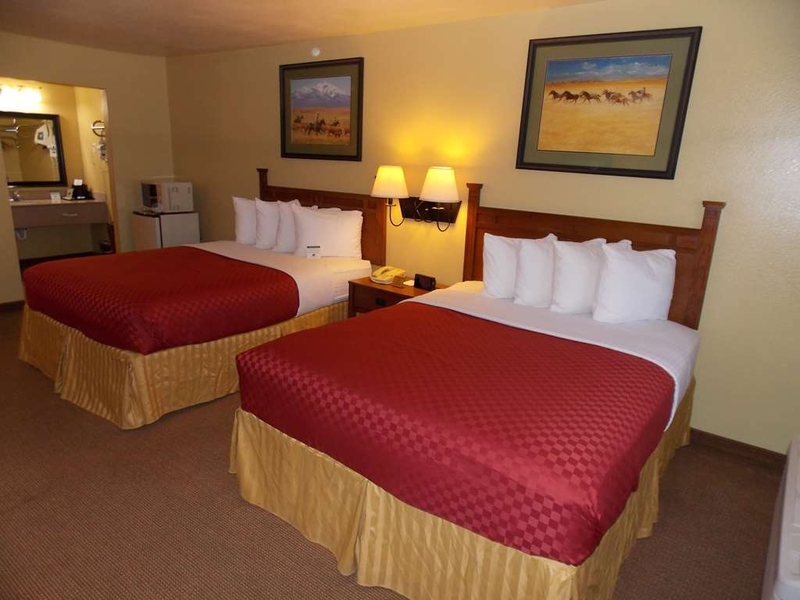 We always have a pleasant stay and have never gotten a bad room. We like the location because it's next to the KC hall which is where we usually attend the events. Thank you very much for your stay with us .We appreciate your business. See you again soon. "Clean and well kept property." Our room was clean, and nice. The only thing that we were not pleased with was the layout of the sink area and lights. We had three people staying in the same room. When the light was turned on in the bathroom area there is a lout fan that wakes up anyone trying to sleep. 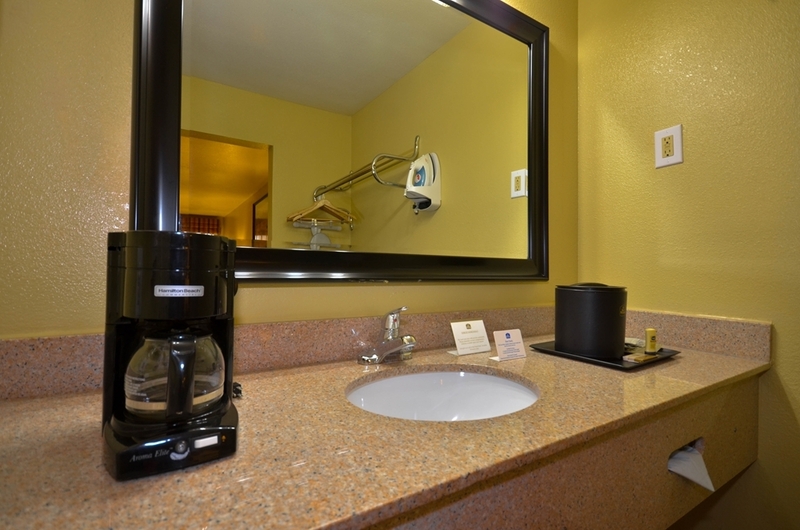 The sink area is open to the beds and turning on the lights there disturbs anyone needing to sleep as well. The beds were very comfortable. One of cleanest rooms we have ever stayed in. Employees at desk were friendly and nice. Breakfast had good variety and was tasty. Eating area was very clean. Some road noise but that can't be avoided. We highly appreciate your time for writing the review. Thank you and we hope to see you again. Thank you very much for taking time to write the review. Hope to see you again. Everything was immaculate. Room was quiet and comfortable. Used the AARP rate for a bit of a discount. Good value, and the breakfast was very good. Good coffee too. Convenient to a very good Mexican Restaurant , Los Cabos. Thank you for review. 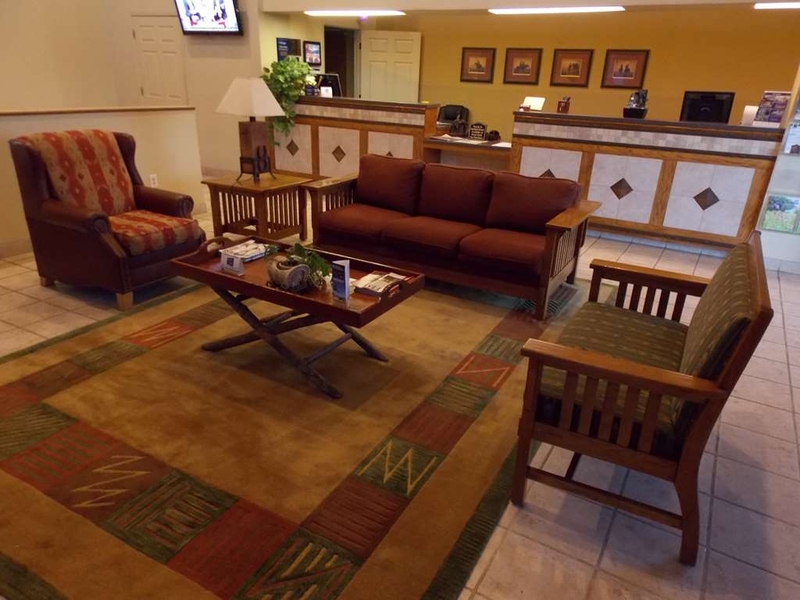 We are happy to hear you had a great stay with us. We look forward to seeing you in the near future. 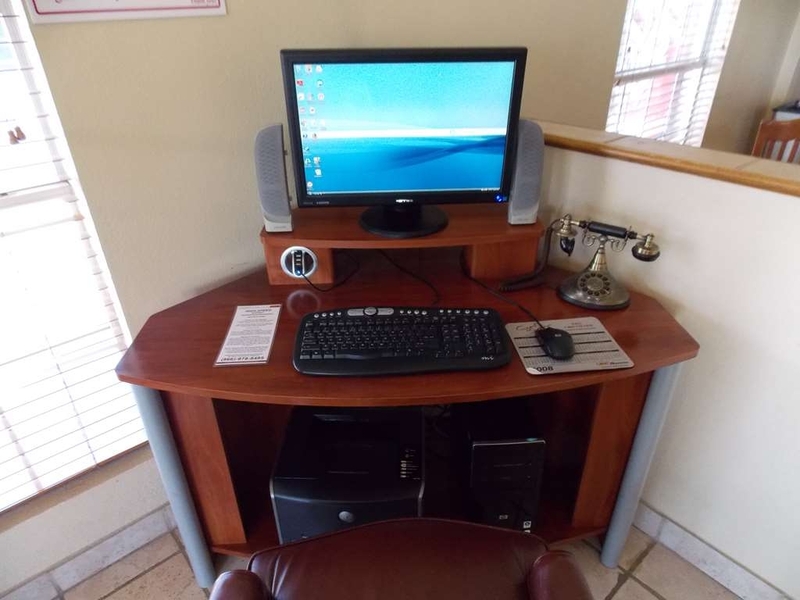 The owner and staff makes you feel very welcome, and they really appreciate your business. Very clean hotel, very enjoyable stay. 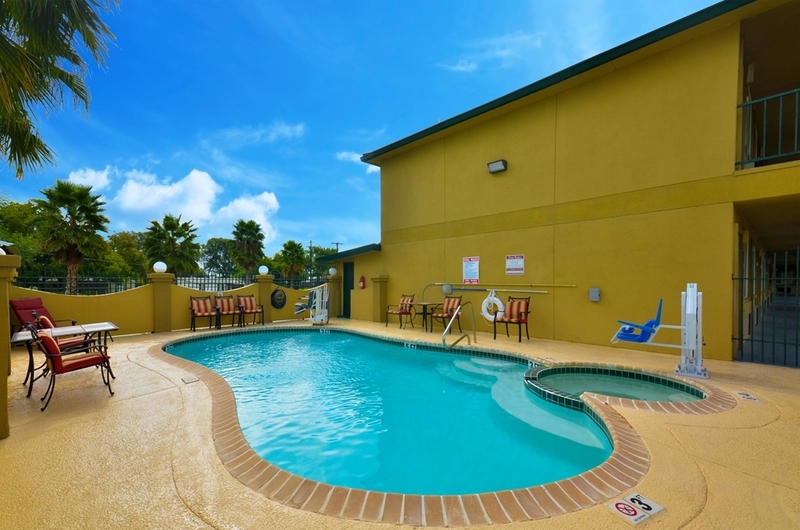 Really enjoyed the pool area, and the outdoor picnic area with barbecue pits! Thank you so much for taking time to write the review. We really appreciate your business. Hope to see you again. The Owner of the Hotel and front desk clerk was awesome! 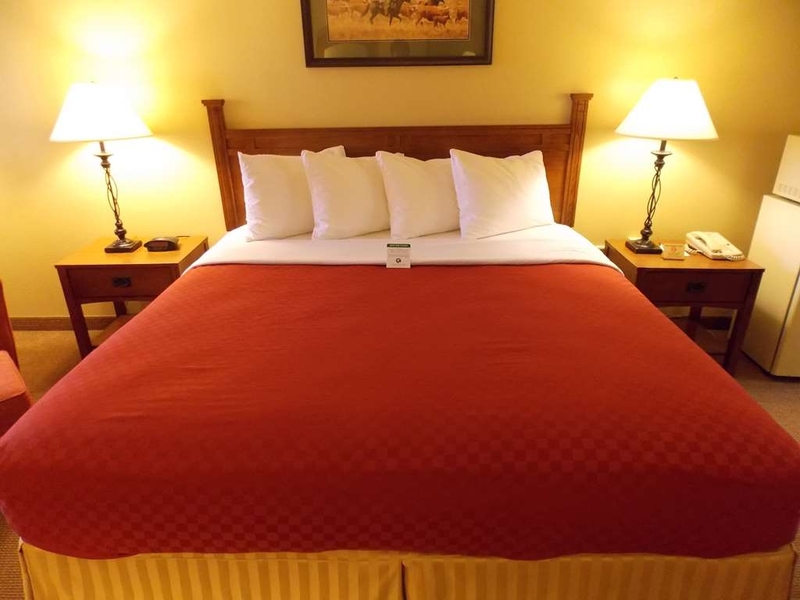 The room was clean, the bed was very comfortable, and the pool felt great! The breakfast wasn't so great, but that was the only down vote for us! 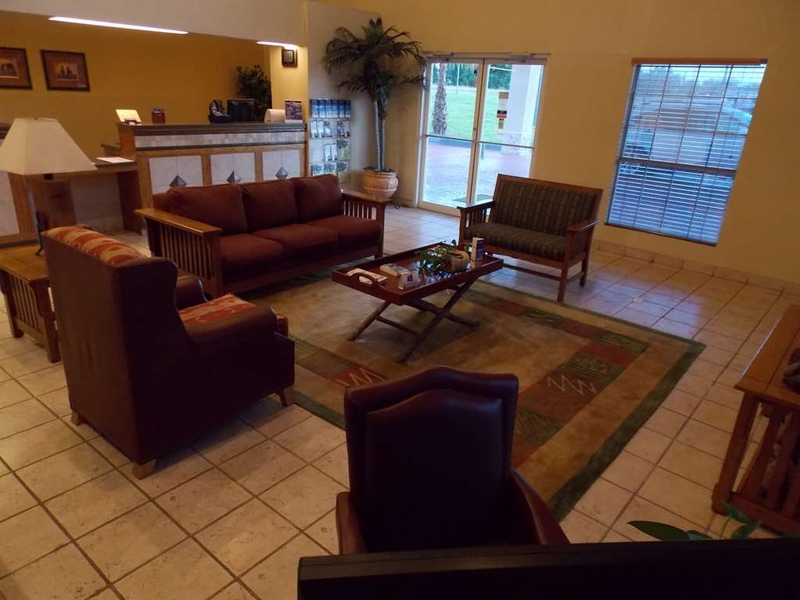 "Best Hotel in South Texas"
For comfort, convience, cleaniness and a wonderful staff, the place is it! 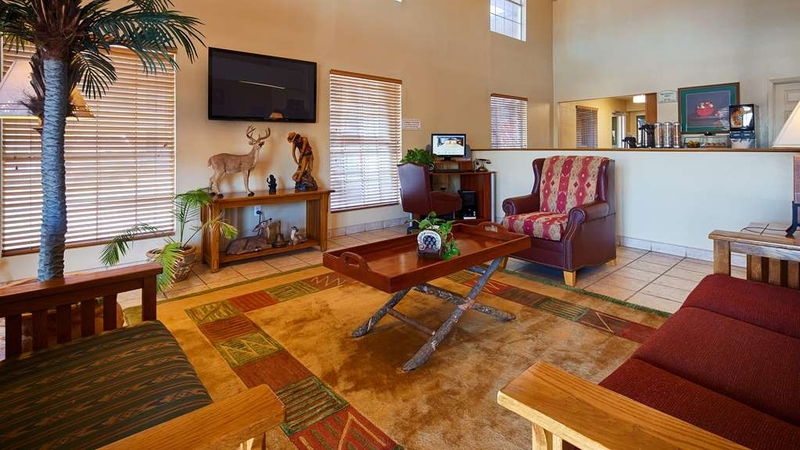 Have stayed here exclusively for the past 7 years when in the area for business or pleasure. Can't find a better place anywhere close. 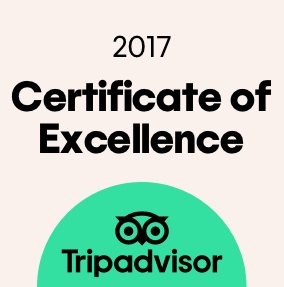 We will drive farther just to stay here because the experience is always consistent with our expectations. Great people, great place! 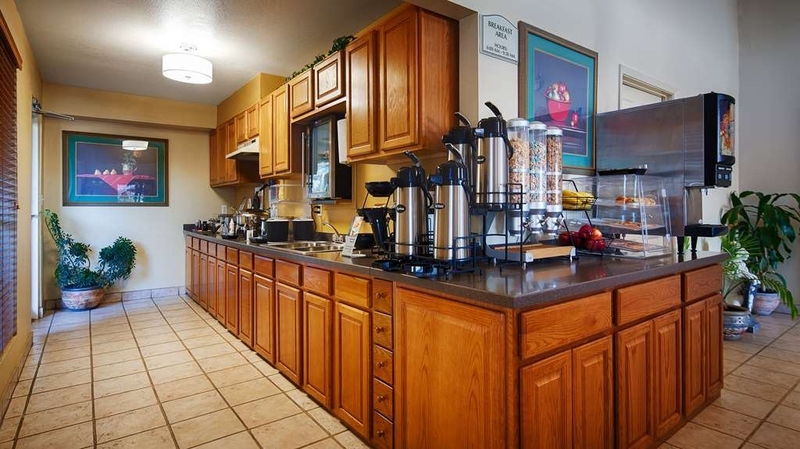 Near restaurants, breakfast is good and the breakfast area is always clean and well stocked! Can recommend without reservations! Thank you very much for taking time to write the review and your feedback. Hope to see you again soon. I have stayed here before and overall it's still a good place, however a couple of gripes. One, in the shower, I do not like the soap dispenser for the shower soap and shampoo. Not handy if you want to take a bath. Two, needs to be more insulation to keep the noise out. I sleep heavy but most people don't so you might wanna bring earplugs just in case. Bed is very comfortable though. I would stay here again. 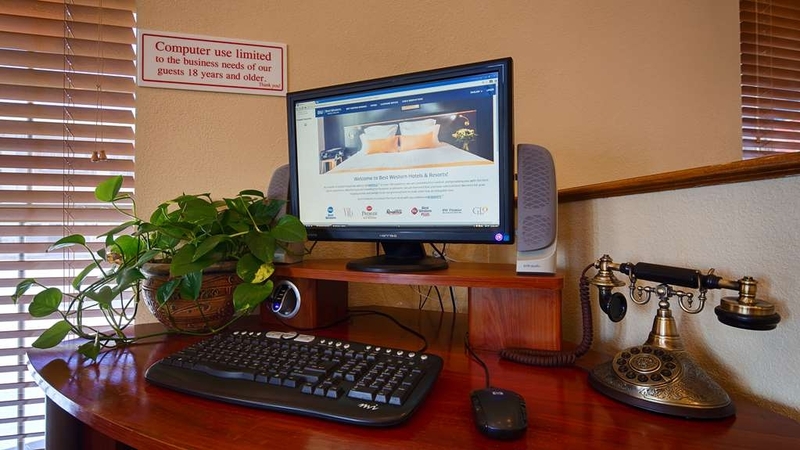 The service was very friendly and helpful and the hotel and the room were fine but the problem was, there was no internet service at all. Cell service in the room was very spotty. Depending on where I was standing in the room, I might be lucky to get 1 bar on my phone but in most of the room, my phone showed no service at all. When I asked the front desk for help, she stated that their internet 'went out alot'. So if you need to do business from your hotel room, I do not recommend this hotel at all. If you are just looking for a placing to rest your head, this hotel is fine. Thank you and we appreciate your feedback. 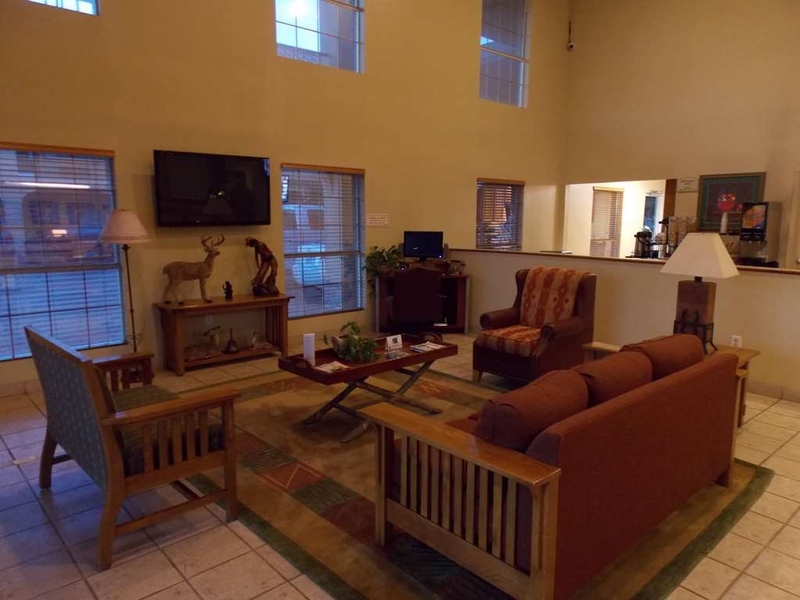 This is a very nice place to stay and accommodated our request to be on the first floor. 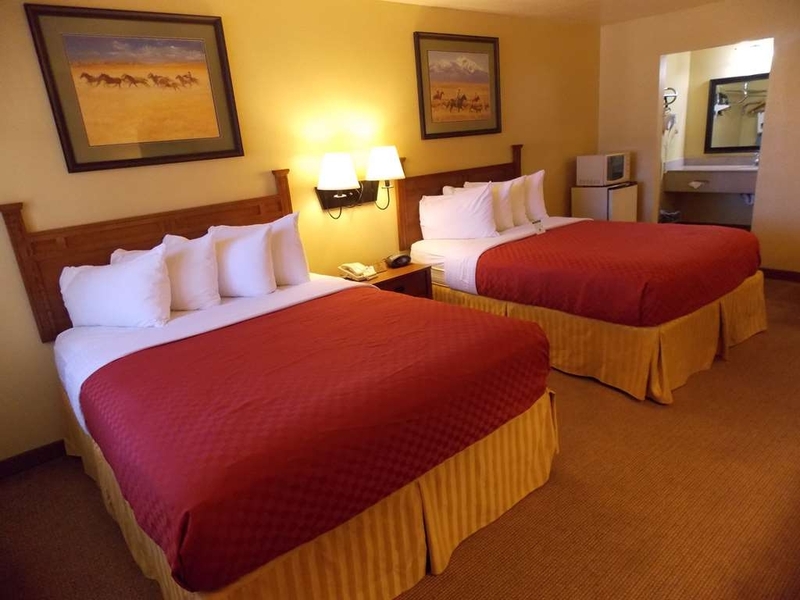 They have a good selections of TV stations and comfortable beds. 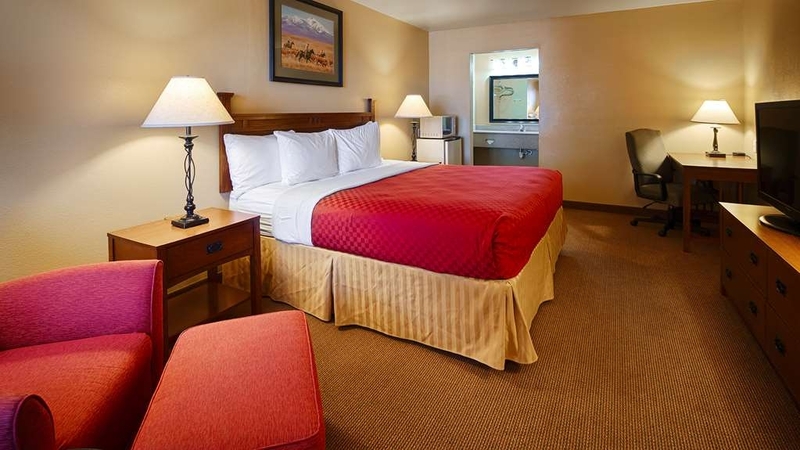 The room is clean and linen is always fresh and clean. 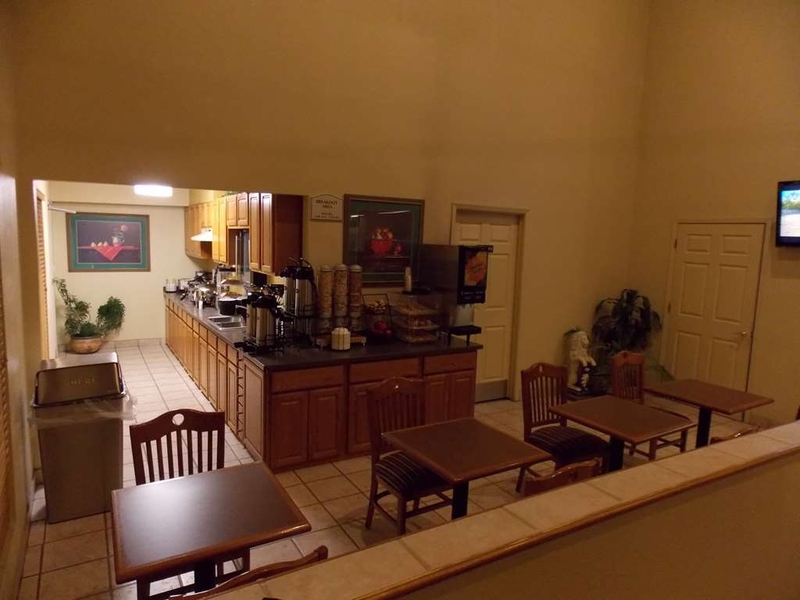 We have stayed here many times before and plan to continue staying there when we are in Hallettsville. We appreciate you taking time for review. Thank you for your business. 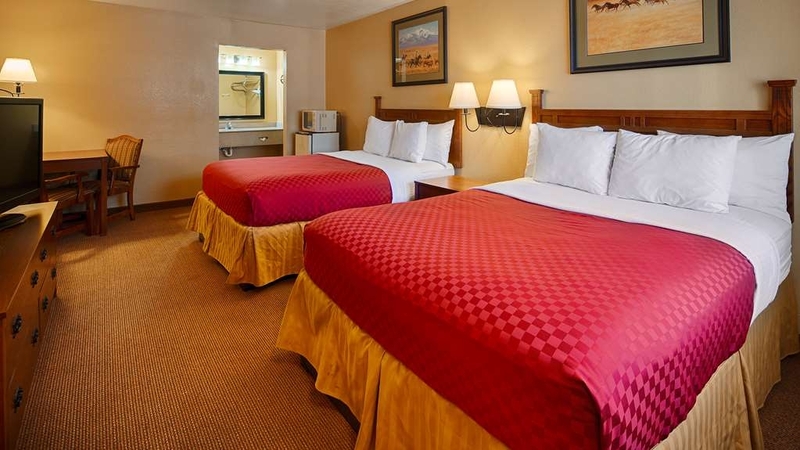 "Friendly staff, clean rooms and comfortable bed." 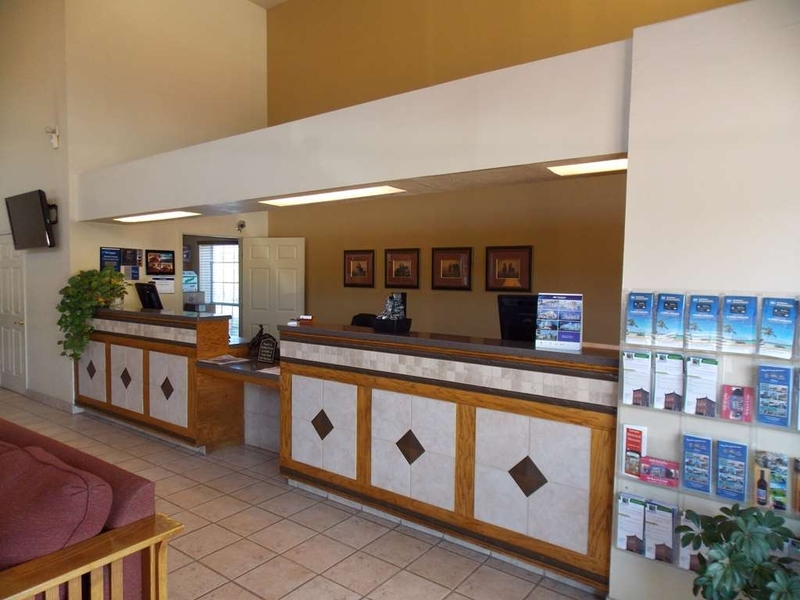 The front desk was helpful and friendly. Rooms were clean and the bed was comfortable. 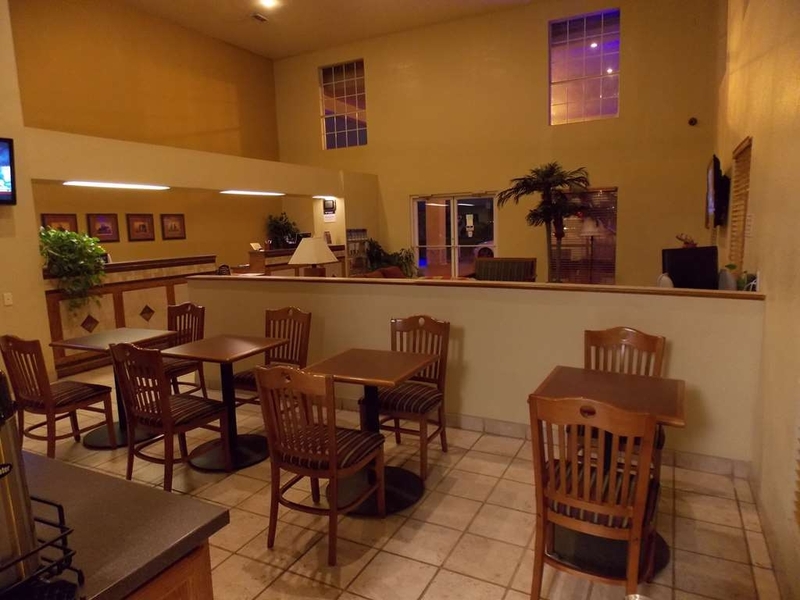 The decor could use an update, but overall great hotel for the area. I stayed on a Saturday night, and was surprised there was no outside noise. Thank you for your feedback & hope to see you again. This hotel was clean and comfortable. We arrived very tired from a long drive and were greeted by Chandra at the front desk. He couldn't have been more accommodating. We enjoyed a good breakfast in the morning and continued on our way well rested. We will definitely stop here again! Thank you for your time to write the review. We appreciate your business. Will see you again. Thanks. "Don't usually give this high of ratings"
I don't get to stay here often. 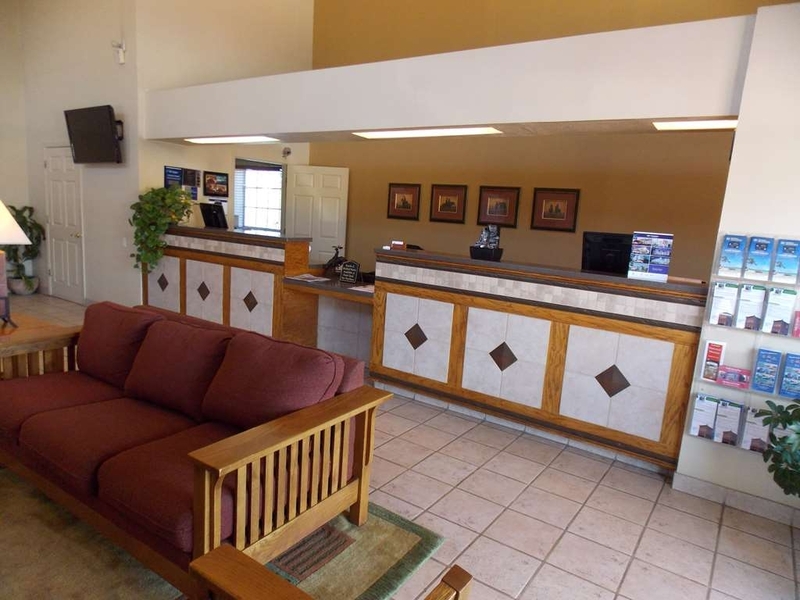 Nicest staff, very clean motel. I wish they could all be like this motel. Great value, clean and well ran. A little drive to get something to eat though. 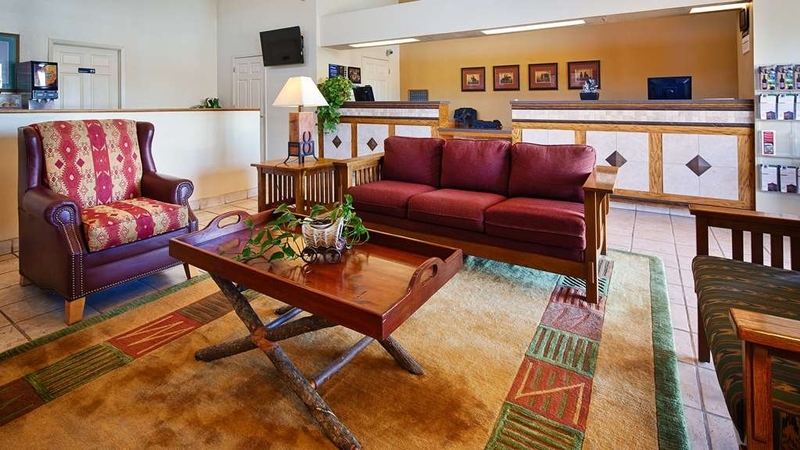 I travel a lot for work and this motel is like a breath of fresh air. Hotel is located on a busy street, but I slept well and didn't hear any road noise. Parking was a bit difficult close to the room, but was able to park a short walk away. The hotel staff were all very kind and helpful. The breakfast was good and the room was clean. Thank you so much for your review. Hope to see you again soon. Brought a live roach to manager and he blew it off didn't even offer a discount to us or anything to make it right we will think twice about staying at another a Best Western again managers attitude really unpleasant. We apologize for having roach in room. Was offered to move to another room. Have not seen any roach in room after checkout. Thank you and we look forward to see you again. 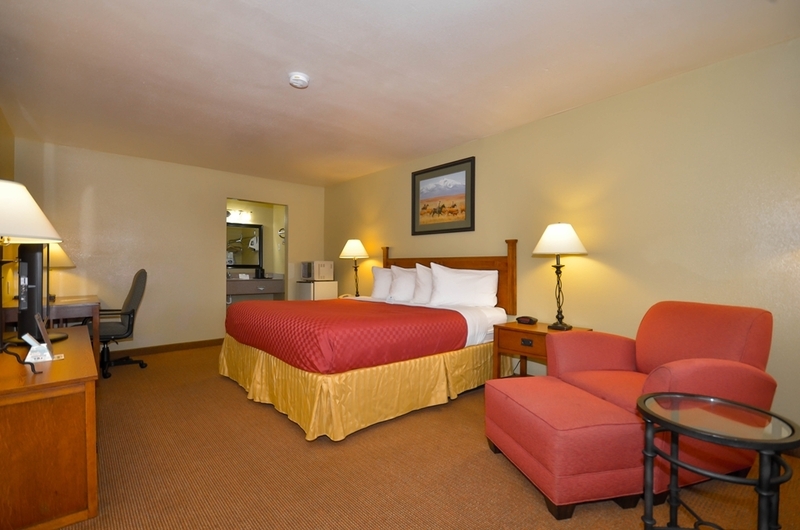 Great rate for a clean, quiet room with a comfortable bed. I forgot to pack a few items but the manager had me covered. Great customer service in a small town. 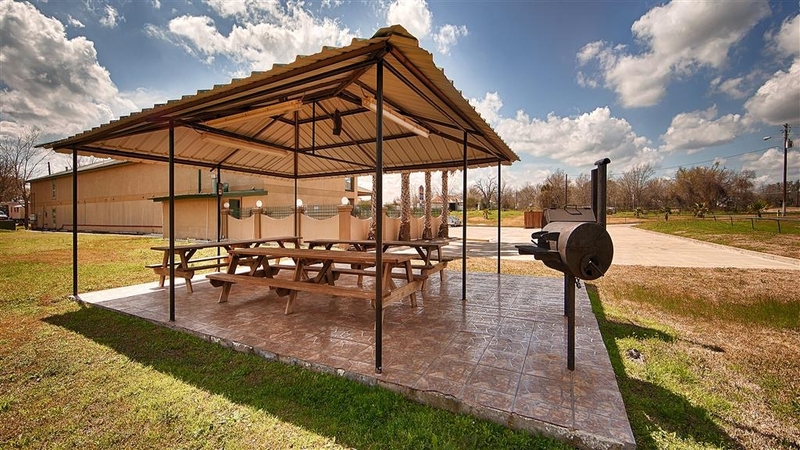 Will definitely stay here on my next trip to Hallettsville. Thank you so much for your wonderful review! See you soon! This is a nice hotel. I would have given it a 5 but the wifi kept fading out and became really annoying. The beds are comfy and the shower has nice water pressure. Fully cooked breakfast with possibly the nicest waffle (in the shape of Texas, of course) that I ever had. The staff is friendly. 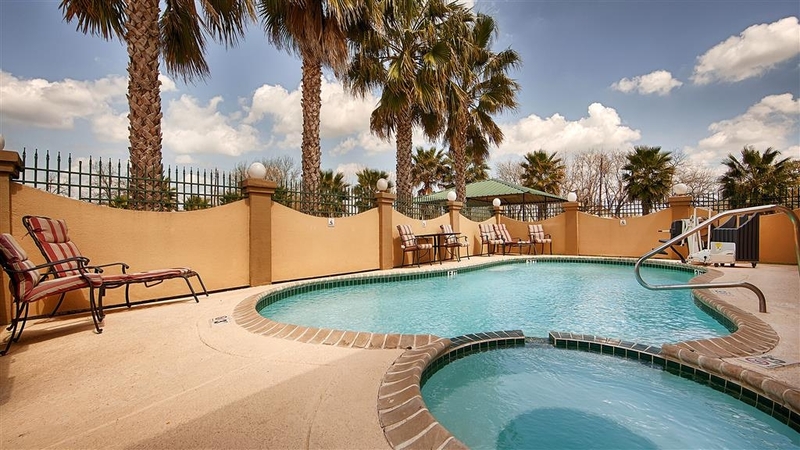 It is in a beautiful area of the country and a perfect place to stay between San Antonio and Galveston. 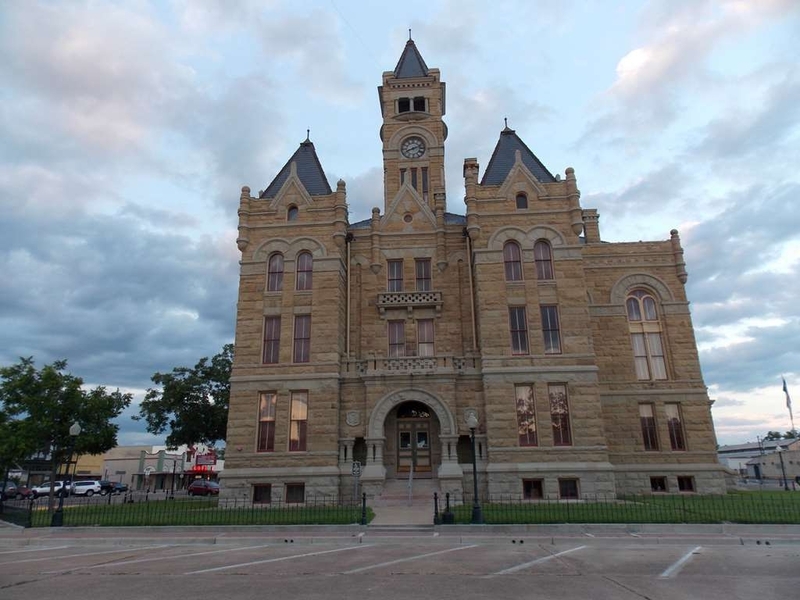 We stopped in Hallettsville, TX for a nights rest before heading to our next stop and we were impressed how nice and clean the hotel was and how friendly the staff was. It's nice to go to a hotel and feel welcomed. Thank you so much for your review, and for being our guest. 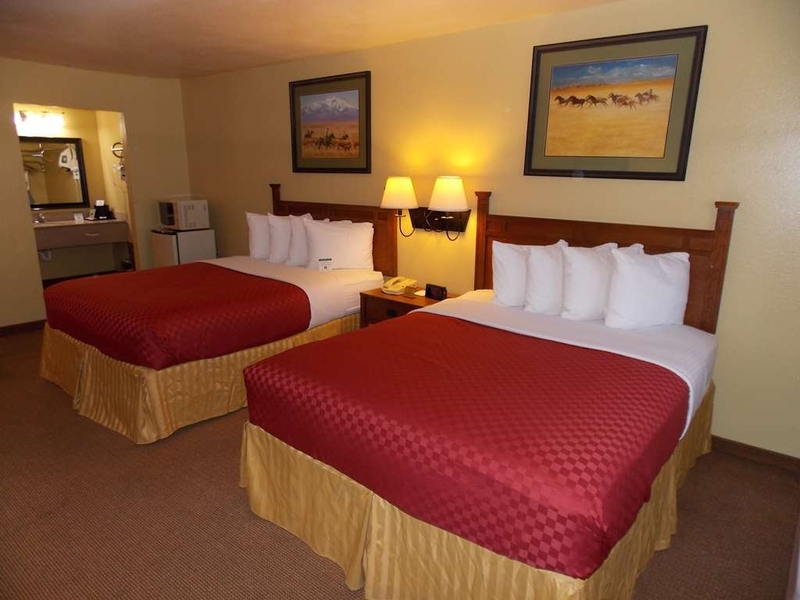 We are so glad you enjoyed yourself while staying with us, and that you found our hotel clean and the staff friendly. Thank you for being our guest and we look forward to your return. 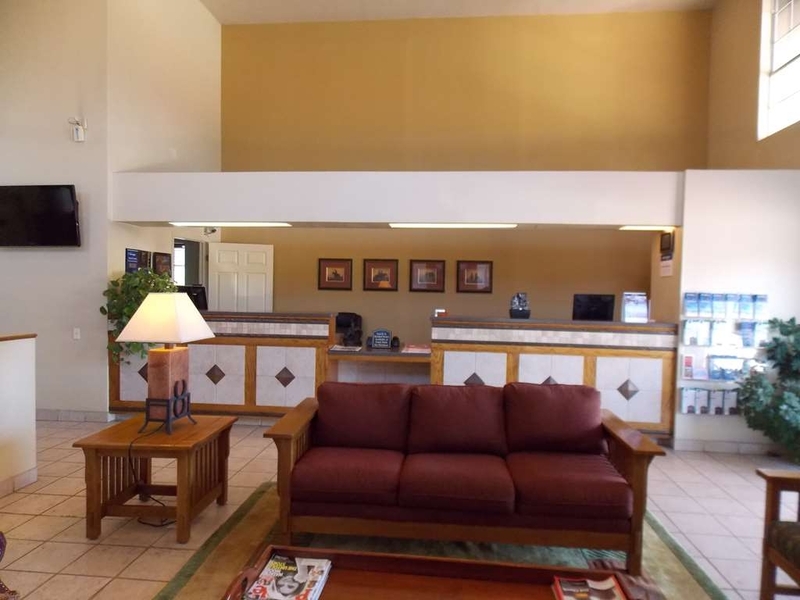 Nice hotel in a great location next to a very good Mexican restaurant. The staff of the hotel were very accommodating and treated the family well. We did not encounter any issues during our stay in Halletsville. The lobby smelled a little too strong of deoderizer and/or incense. Staff was very friendly and polite. 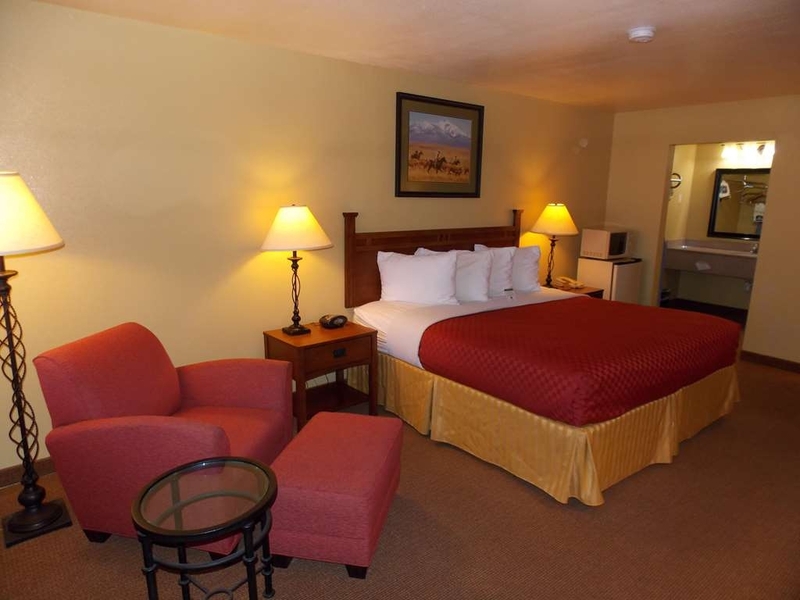 The room was very clean and the decor tastefully maintained. I took care of the noise problem, it wasn't the fault of the hotel. You're in south Texas, redneckville. What else can you expect?! Thank you very much for taking time to write the survey. We appreciate your business and hope to see you soon. Thanks. 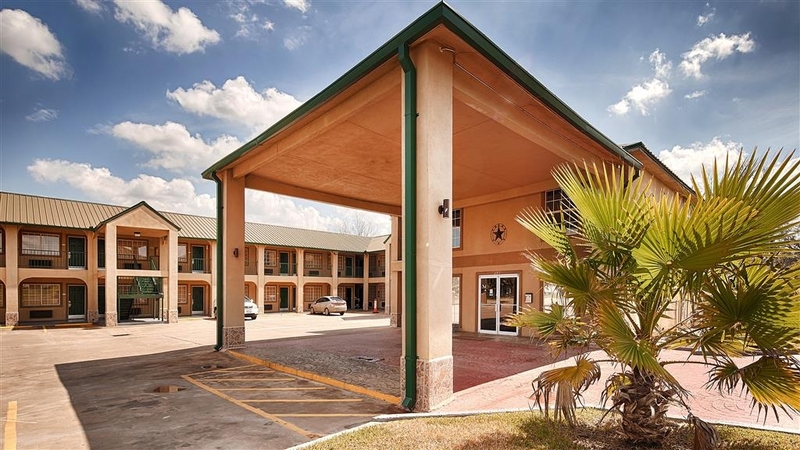 "Best little hotel in Texas!" Personal attention to detail, very clean! What more can I say! 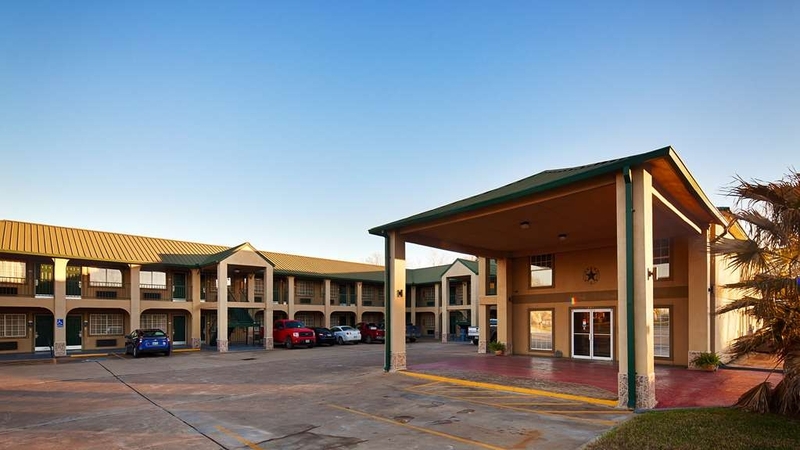 If you are looking for a great stay at a very reasonable price, use the Executive Inn in Hallettsville, Texas. 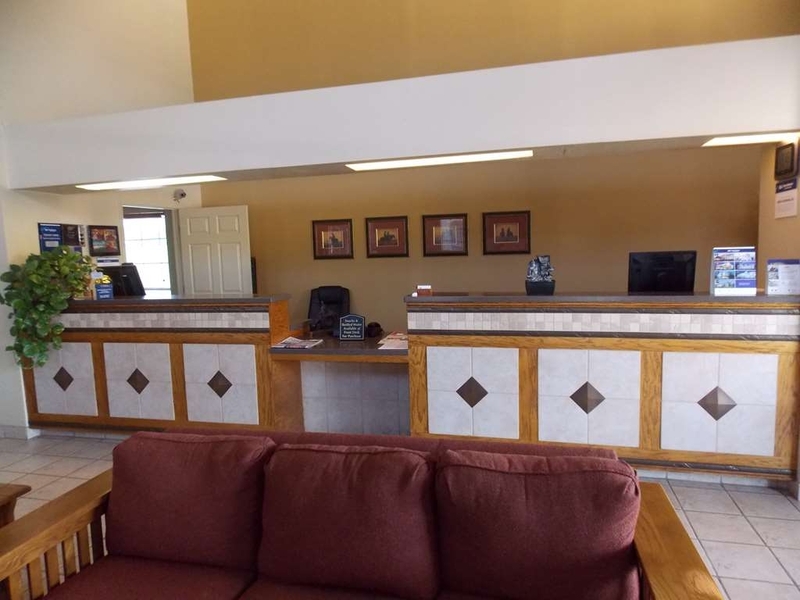 The staff is friendly and do all they can to make sure you are comfortable. When in the area, this is the only place we stay! We appreciate your staying with us and thanks a lot for your business. Always happy to see you here. Thanks. 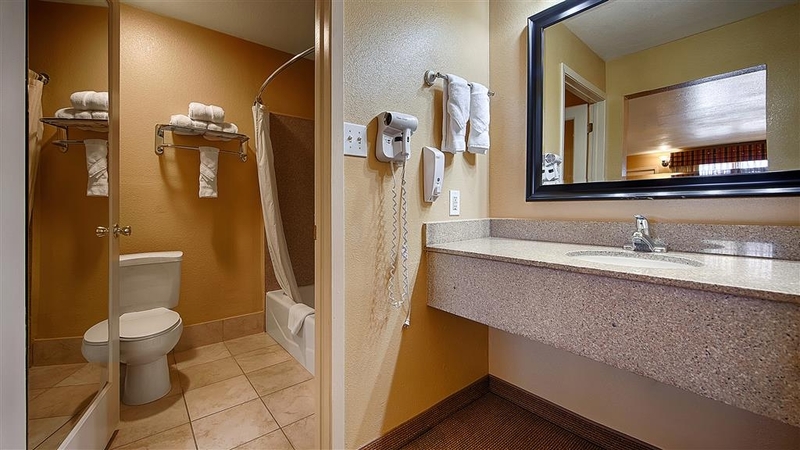 excellent, extremely clean, quiet motel. This is a hidden jewel away from cities. Gentleman and his wife maintain it. Quick to respond to our questions and needs. Will definitely return there again. Very good bkft, kept area clean. This Hotel was very nice place to stay. Rooms are clean. 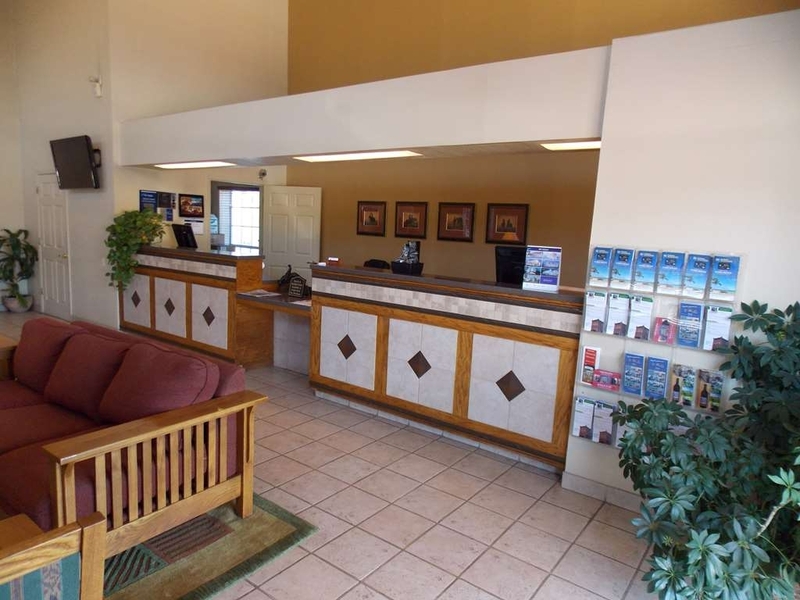 The staff was very friendly and helpful checking in and out. The area is quite and not a lot of road noise. I would stay there again if in the area. Thank you and we appreciate your business. Hope to see you soon. Thanks. Good value hotel. Pet-friendly with small fee. 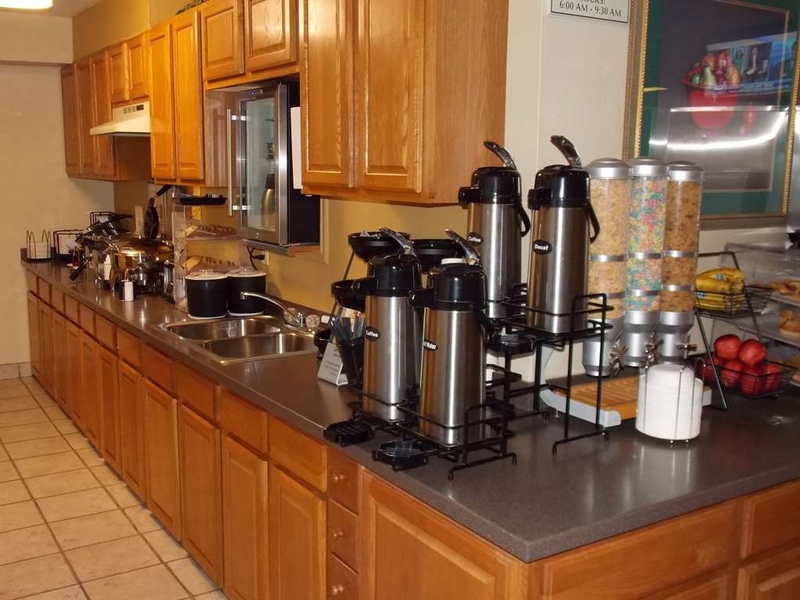 Hospitable staff, comfortable beds, clean and ample-sized rooms, good free breakfast (biscuits, waffles, cereal, etc). Recommended for anyone traveling through or staying in the area. I hate to rate this hotel as average because the people at the front desk were so nice and friendly. But, even though the bed was comfy, the room was average. The breakfast was average, even though the nifty waffle iron was in the shape of Texas. Bottled water and a newspaper was offered in the lobby for a price. After just having stayed at another hotel that week that offered us dinner and free beer or wine with it (for the same rate as this hotel), it seemed that the water and newspaper should be a courtesy. Thank you very much for your review. Yes we sell snacks and water at front desk. But the news paper is free. Thanks again. Clean but rooms could use a little updating. Pool area was clean and warm for a night swim. Decor was dark and could use some white paint in rooms. Carpets could be replaced. Greeted by owners and the breakfast was nice. Out coffee maker was broke and replaced promptly. Thank you very much and I appreciate for taking time for the review. Hope to see you soon. Thanks. 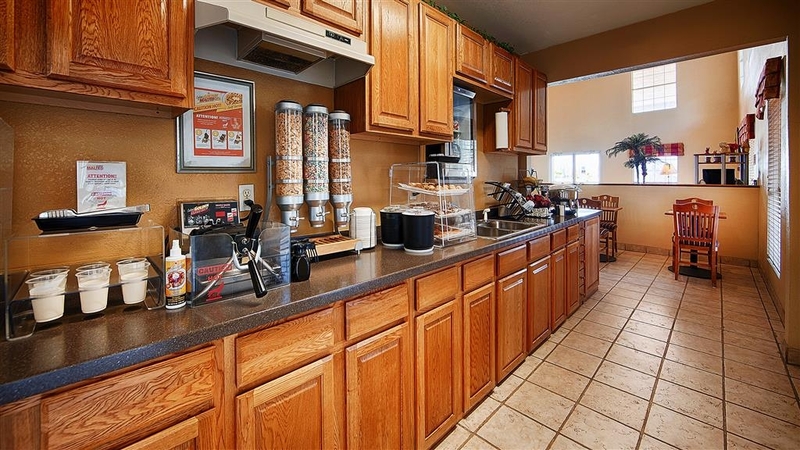 "Great stay; Clean and good Breakfast"
Great stay; Clean and good Breakfast; provided extra towels, when needed. Staff was friendly and very accommodating. There aren't many choices in Halletsville, TX, but I would definitely stay here again. Appreciate your business. Hope to see you soon. Thank you. We have always had a pleasant experience at this hotel. That's why we keep coming back. The staff is helpful and courteous. 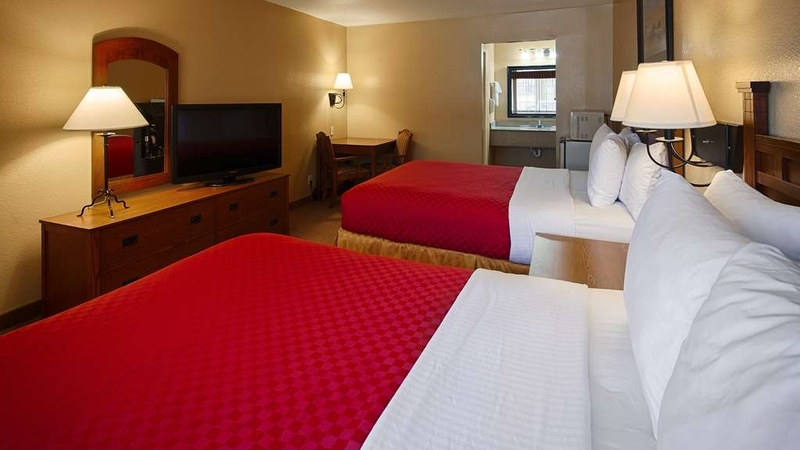 The rooms are always clean and the bed is comfortable. The towels are wonderful!! They are nice and thick and absorbent--not paper thin like some hotels. Thank you so much for being our regular guest. Hope to see you again soon. Thanks. "Very nice and well kept property"
Very nice and well kept property in a small town. Looks like a family run hotel, but well kept and nicer than I actually expected. Everything I needed was there. The hot breakfast was just OK, but considering the occupancy of the hotel, there was more than I expected to be offered. Thank you and we appreciate you taking time to fill out the survey. Hope to see you again soon. Thanks again. "Older motel but well kept and clean"
The motel is older but well maintained and most important it is clean. I will warn you breakfast area is very small. Plan to make a plate and perhaps go to your room. They don't seem to have a problem with that. Good value for the money. Little trouble with those little pillows; prefer to take mine but forgot. Thanks and appreciate your response. Hope to see you again soon. Have a great day. "OK stay for 1 night"
Room on first floor. Parking lot had lots of trucks, a bit noisy at times. When we went for breakfast, many items were already used up and not replenished. Probably would look for another hotel if we were in the area again. hotel was a little dated, couldn't eat breakfast because they were burning incense and was making us sick. Small parking lot, didn't want to lose our spot so we walked to restaurant. A/C was noisy and blew on the bed all night. would stay again if had to. Sorry for your inconvenience. Hope to see you again. Thanks for choosing our hotel. 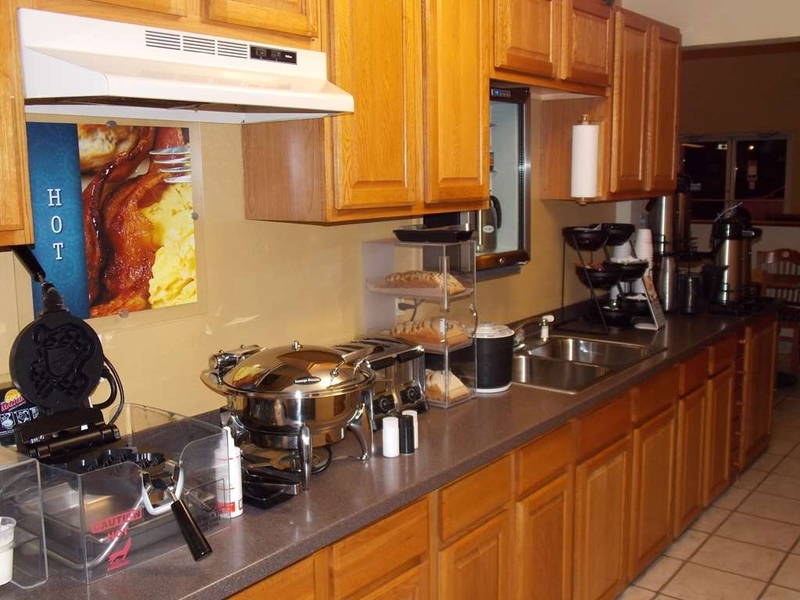 "one word sums up this location: CLEAN"
We highly appreciate you taking time to write the review. Thanks again and hope to see you soon. We called late for the reservation and needed it for quite a few days, on the first floor, had one non-ambulatory with us. were gonna check in very late at night. very ill Mama in hospital. worked with us so well. so thoughtful. Booked this place last minute and boy was I happy! Was in a small town, not much to do but I just needed a place to crash. Lobby was super clean, staff...was a father/son team...was super friendly. My room was large, CLEAN, smelled nice, just great. What I was expecting and what I got was beyond my expectation. Would stay here over and over agin. Appreciate your business and hope to see you again. Have a great day. Thanks. 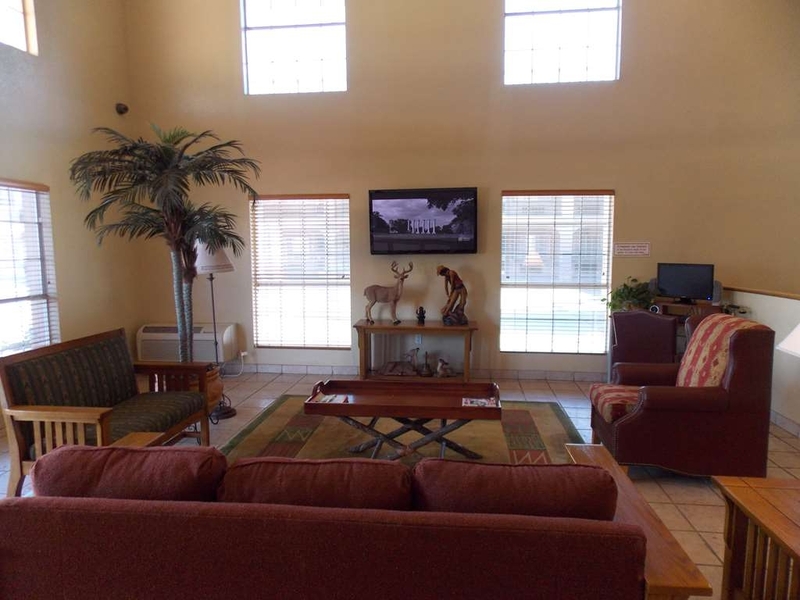 I was very pleasantly surprised and pleased at this hotel in Halletsville! It is an excellent value for all that is offered. 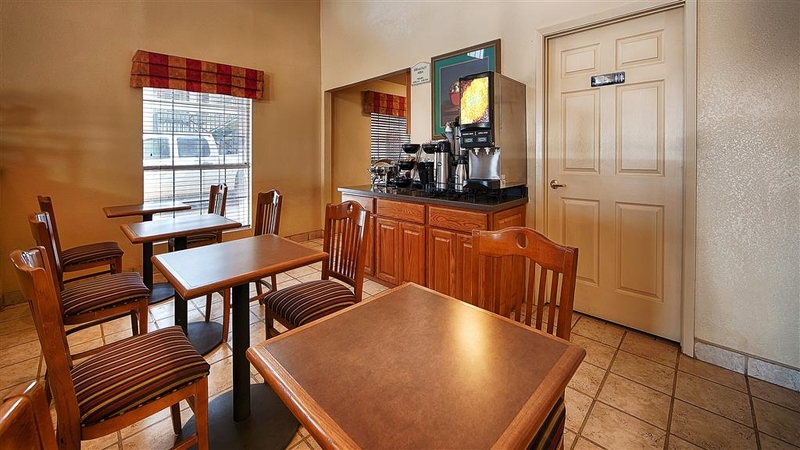 The room was very clean, the beds were very comfortable, the rooms fairly spacious and the breakfast was nice with Texas shaped waffles, little sausage biscuits, and eggs, along with the other typical continental breakfast items. The staff was very friendly and helpful. I would highly recommend this place and I will return. "Good for Overnight in the Area"
I spent one night at this hotel. 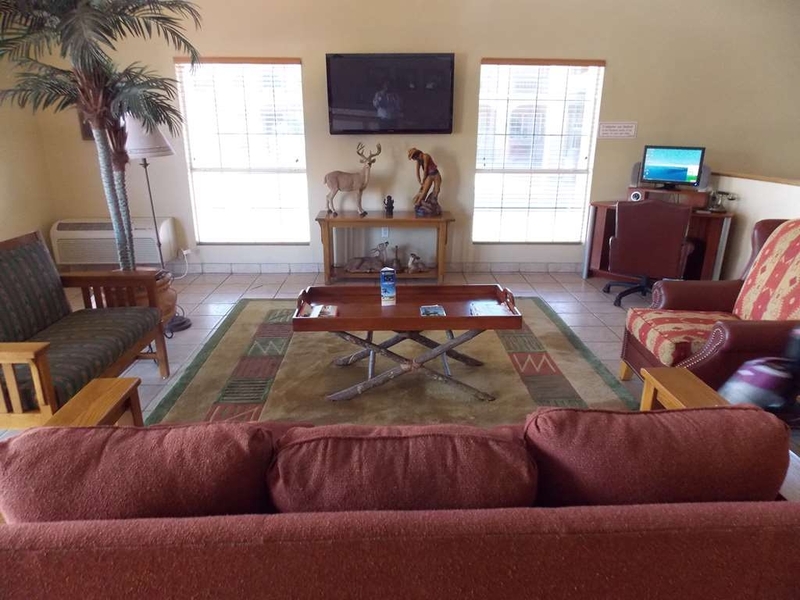 It is very clean with nice sized rooms. I was in a double queen room. 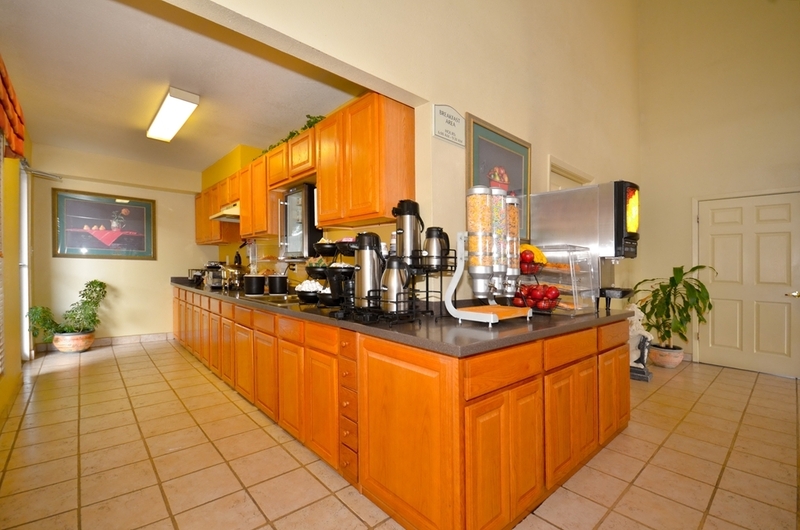 The room had a microwave, and fridge and the usual amenities including a coffee pot. The beds were comfortable. The free breakfast was ok, the best items being mini sausage biscuits. The eggs were not so good, but there is a waffle maker and the usual cold breakfast items. 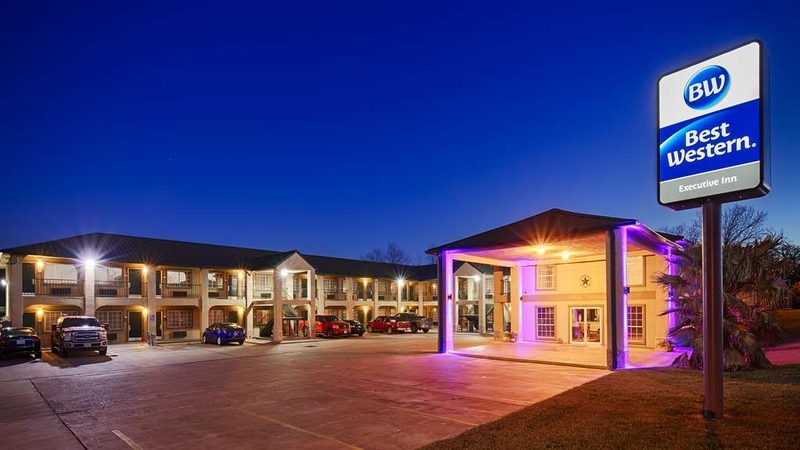 This is a perfectly fine hotel for a short trip or overnight. The staff is friendly and helpful. Check in and out was quick. There is a decent Mexican restaurant a short distance away. I will stay here again if I am in the area. Note that highway 77 takes a jog to the west if you are entering the town from the north, then turns south/southwest where the hotel is located.. Watch the signs. 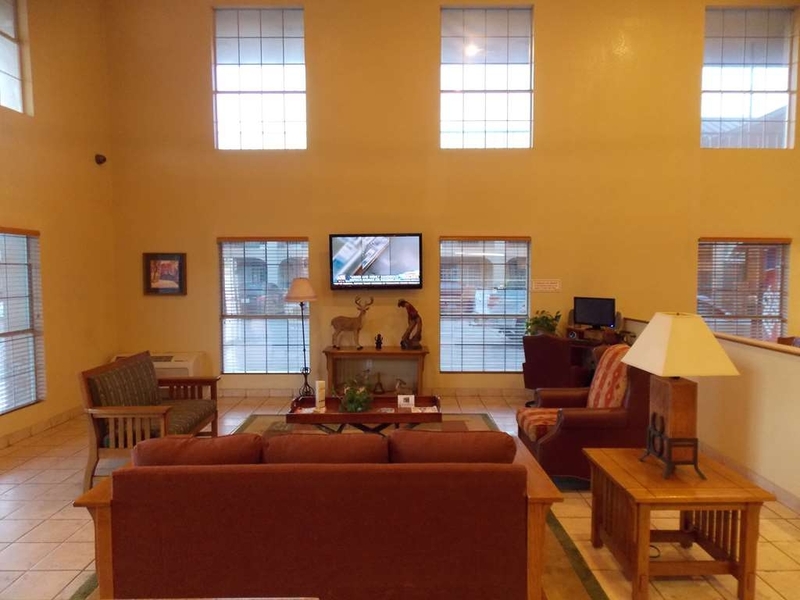 "Friendly staff will make you feel at home"
I enjoyed my stay at the Best Western in Halletsville, TX. 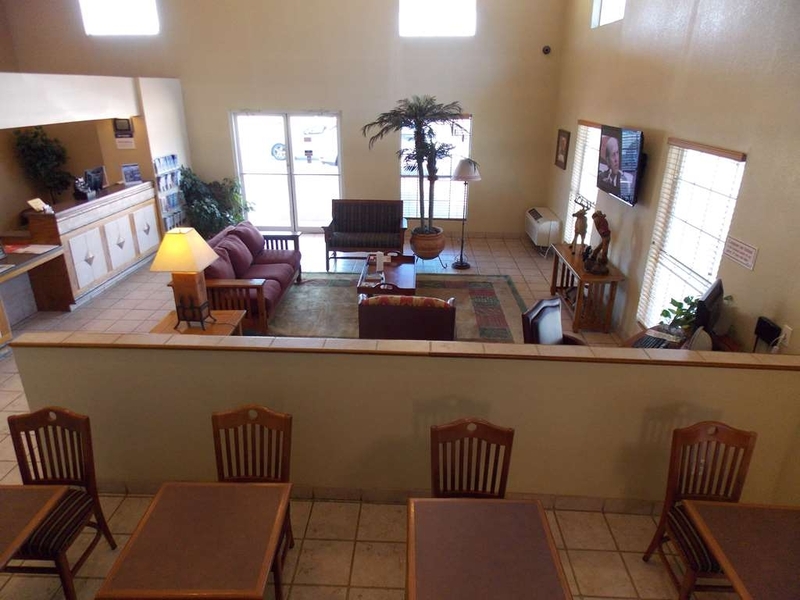 The staff was very caring and extremely customer service oriented. It felt as if you are not a guest but rather a family. I am going there again in few weeks and will be staying there only. It only has one down fall, They dont offer smoking rooms, although the clerk got me on the first floor so I could step outside, This is a comfortable and clean place, the wifi is fast and steady. I would recommend this motel to anyone needing a place to stay. Thank you and we appreciate your business. Thanks again. 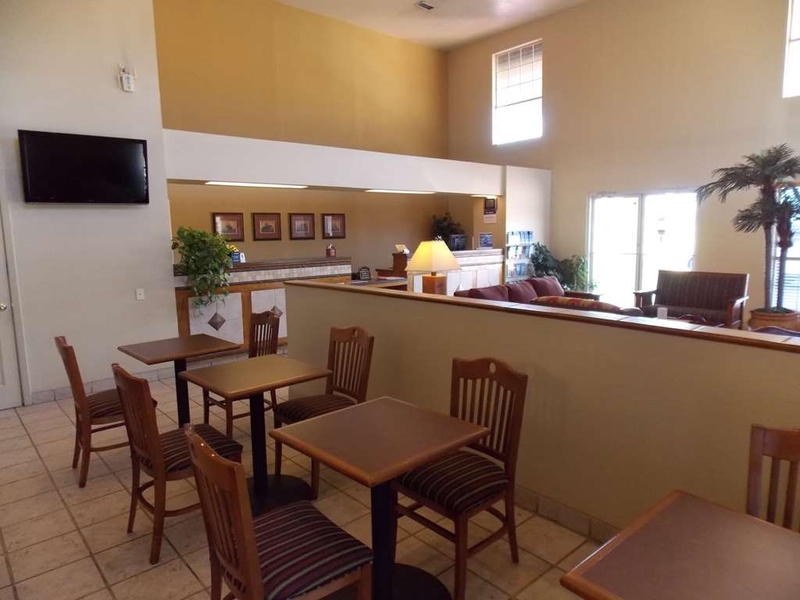 This place is ok if you need a place to stay in the area on business. It was convenient for me to stay due to its proximity to my job site. However, the hotel could use some minor updating to improve the feeling of being at a cheaper chain. 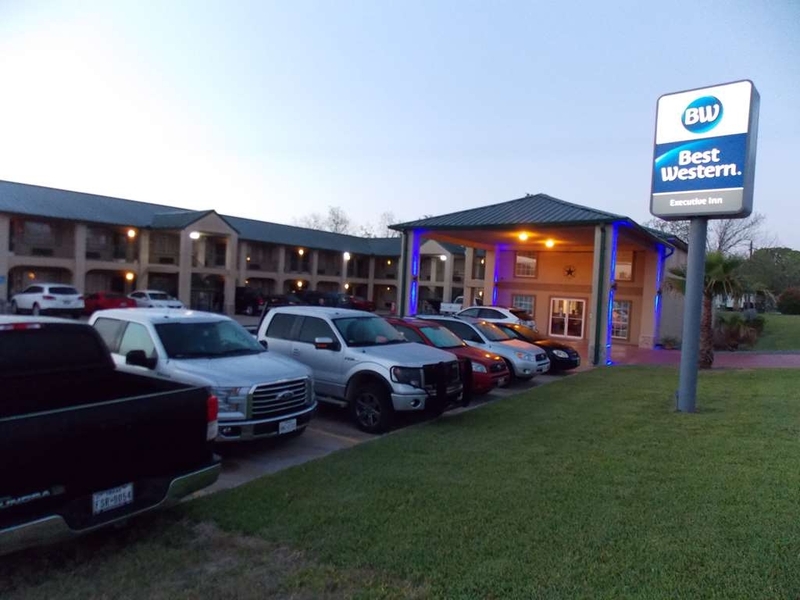 My experience was not bad, but it was not at the usual level of Best Western chain hotels. It was nice having you here. Hope to see you soon. Thanks. 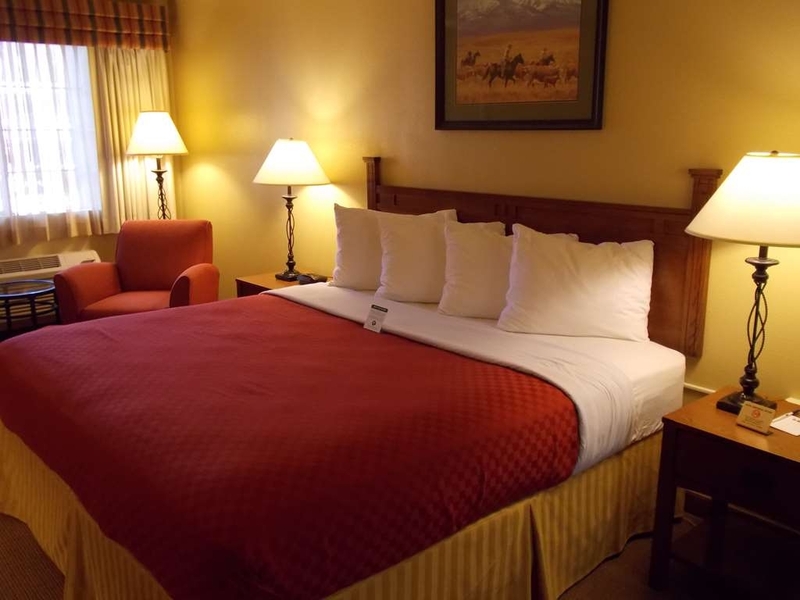 Stayed here on the way to Splashway, I got there late Friday night but my room was ready. 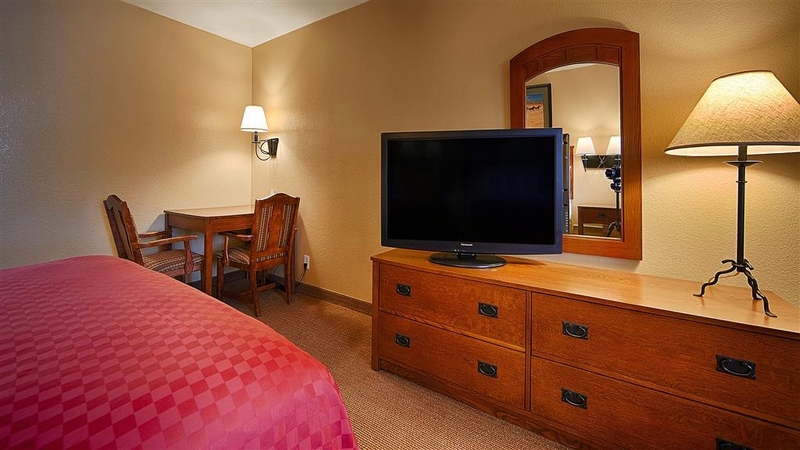 My room had a king size bed, with tv,which had a great selection of channels, small fridge, microwave, clock radio, bed was very soft,and I slept great. Stayed only one night,and I would stay here again. Breakfast in the lobby was ok,nice selection of food. Thank you and appreciate for taking time to write the review. Hope to see you again. Thanks. 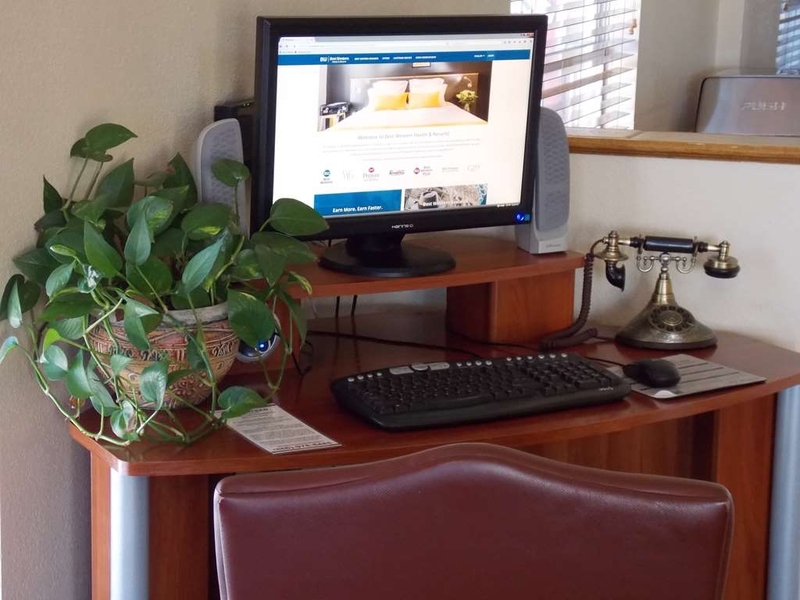 "Does not honor rate quoted"
I am a senior citizen and was quoted a much lower rate when reservation made, I am also a Diamond with Best Western, than I got at check in. The ice machine was broken and no one was ever at front desk when I went in, had to ring door chime!!!!! Quoted rates are always honored. But, I apologize anyway. Please contact me next time if you have issue like this. Thanks again.